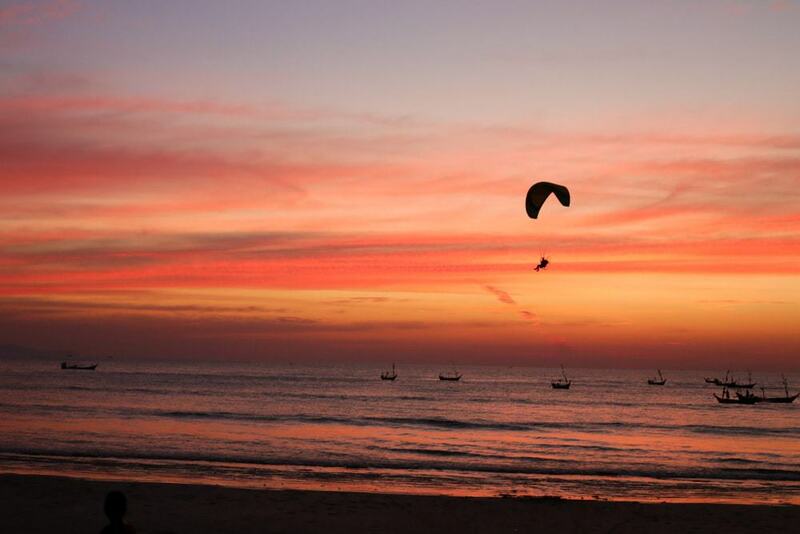 Dawei also goes by the name Tavoy and is located in the southeast of Myanmar. This part of the country used to be off-limits for tourists, but it has now opened up which means that you can explore a less visited section of Myanmar which is still authentic and hardly touched by tourism. As you would imagine, there is not much in the way of tourist infrastructure here, although this is one of the great charms of the region and you will also find gorgeous colonial architecture mixed with graceful Burmese temples and pagodas. This is also a rather unexpected spot as, if you get out of the center of town, you will find a range of sandy beaches to enjoy. 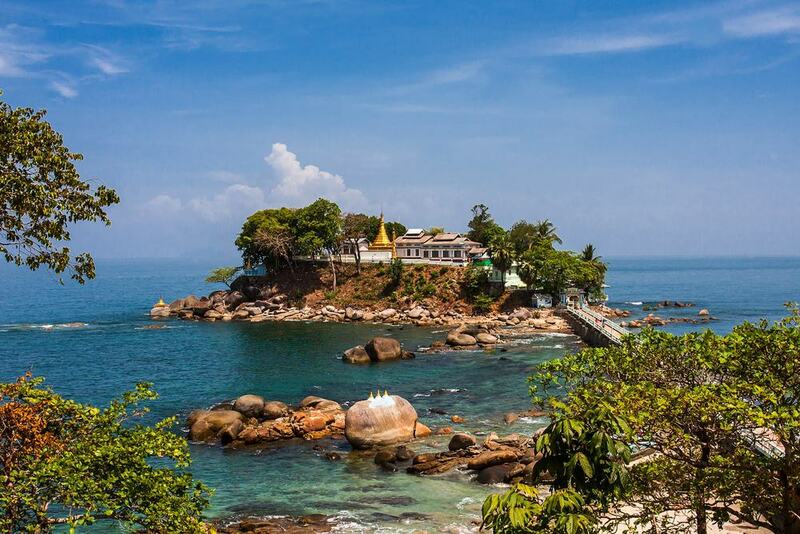 If you want to explore Dawei properly then a great choice is a trip to the Shwe Thalyaung Pagoda which lies on the outskirts of town. One of the best ways to get to the temple is to rent a bicycle in town and spend the day cycling through the leafy environs of Dawei. The temple is located in the middle of a pretty forest and you will find a large statue of a reclining Buddha in the central chedi. Shwe Thalyaung is also at the top of a large hill so this is also a good spot to walk up to and then check out the surrounding countryside from a height. Myanmar is known for its wonderful teashops and Dawei is no exception. There are little local cafes dotted all over the city and you will find delicious snacks here like tea leaf salad and skewers of barbecued meats. You can also try out the local tea which is poured from cup to cup to make it frothy or order larger dishes such as toothsome fried noodles. 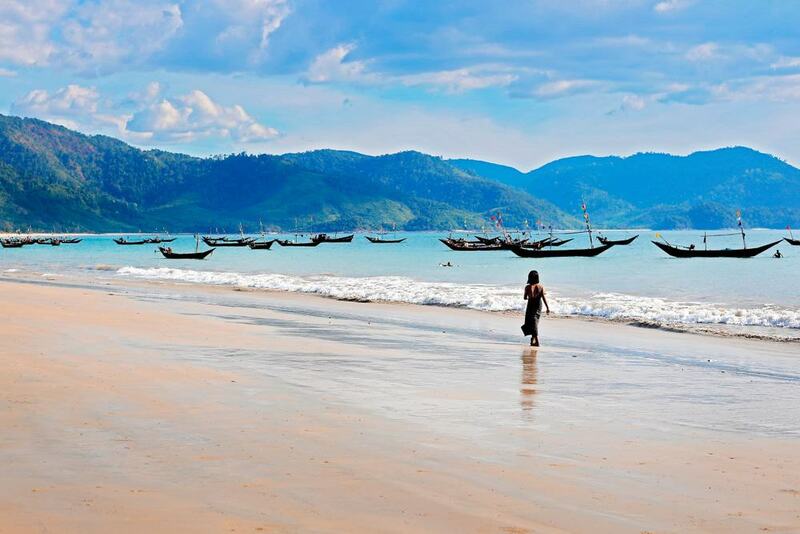 Nabule Beach is widely said to be one of the prettiest beaches in Dawei and it is also quite large so it never feels crowded, even if you visit at the weekend. 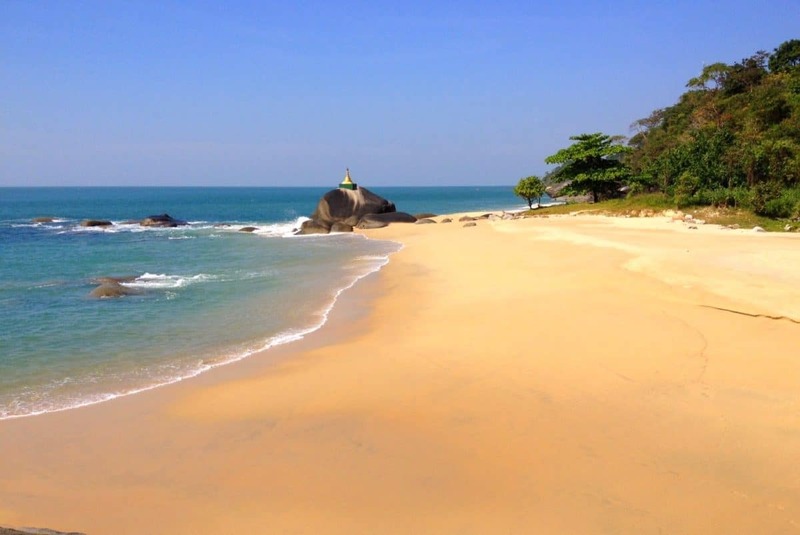 The beach is basically made up of a wide section of sand which backs on to stunning palm trees and there is even a charming pagoda actually located at one end of the beach. It takes around 2 hours to get to the beach from Dawei but it is well worth the excursion if you want to spend the day relaxing on crisp sand and topping up your tan. 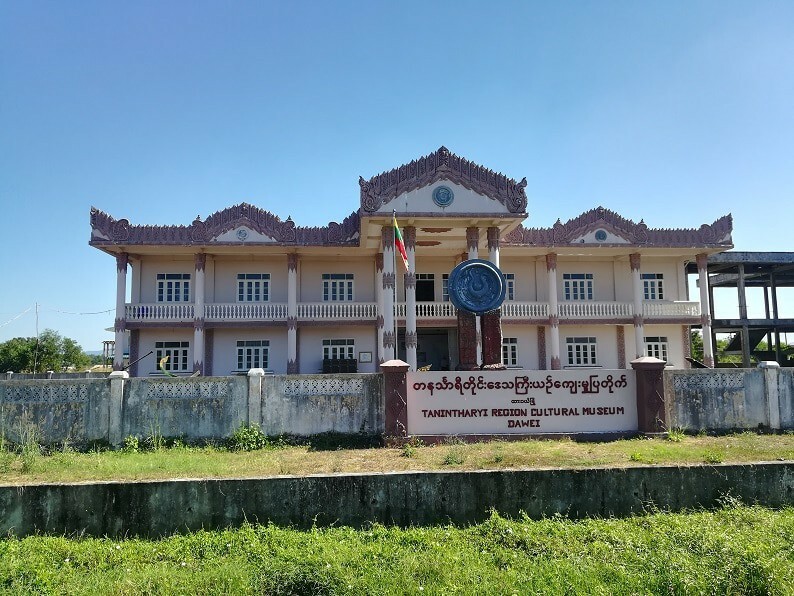 Myanmar is not a country that has a great museum scene, but Dawei is something of an exception as it is the home of the Tanintharyi Region Cultural Museum. Here you will find galleries dedicated to the history of Dawei and you can learn all about the different ethnic groups here such as the Moken and the Mon peoples. There are also fascinating galleries of antiques here that have collections of ancient weapons, jewelry and ceramics like pottery. Myaw Yit Pagoda is a rather unusual pagoda in Dawei as it sits on a small scenic island which is located to the south of Maungmagan Beach. Getting to the pagoda is half the fun as you will need to walk along a small path that takes you to a rickety wooden bridge that stretches to the island. In addition to the pagoda you will also find a boardwalk that wraps around the island that is the perfect place to go for a stroll if you want to take in the spectacular sunsets. Locals will tell you that Teyzit Beach is one of the prettiest in the region and is made up of white sand and clear seas. It is around 25 miles away from Dawei, so you will need to visit it as part of a day trip, but it is more than worth the effort as this is one of the top spots for swimming in the local area. There is a little fishing village that is located on the edges of the beach and you can dine on seafood here or drink from a fresh coconut. 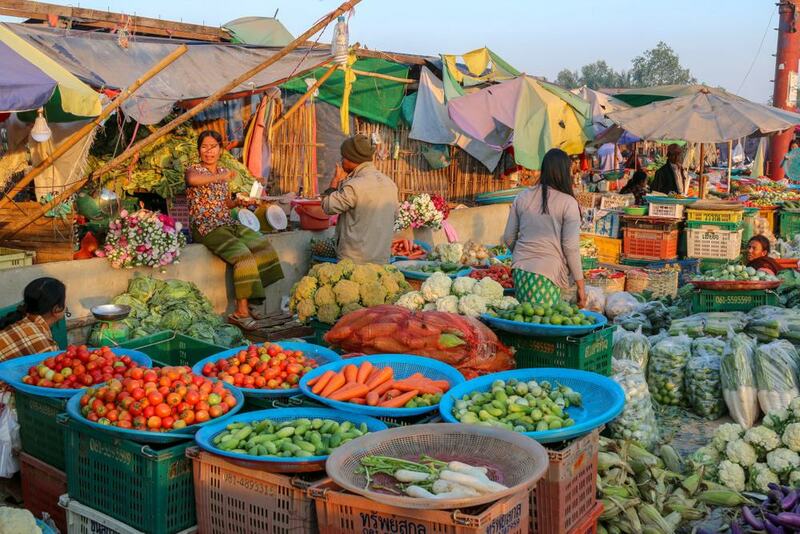 You can’t visit Myanmar and not stop off in a local market to see the best produce on offer. The main market in Dawei is called Si Pin Tharyar Zei although if you just ask for the ‘Main Market’ you will also find it. Here you can buy fresh fruits and vegetables, which are displayed in towering rows, and they also have some local textiles for sale as well as clothes and a few handicrafts from the region. As you would imagine, thanks to its abundance of beaches, seafood is a staple item on the menu in Dawei. 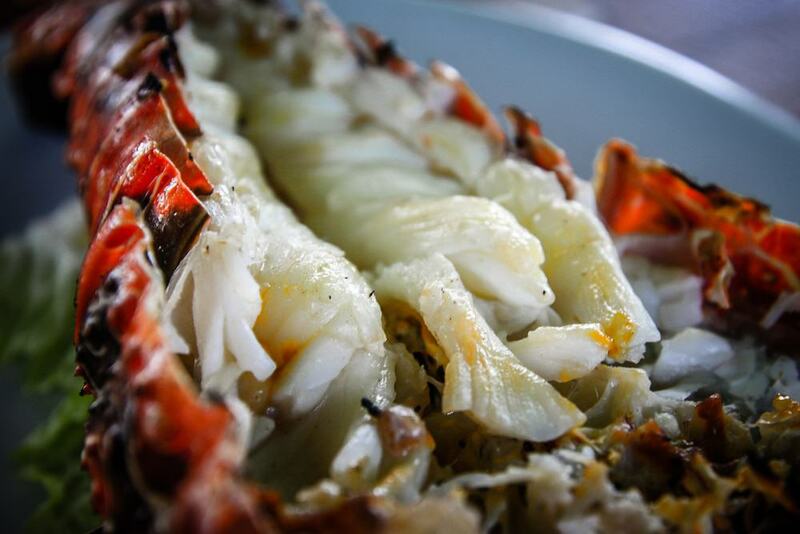 If you visit any of the beaches here, particularly Maungmagan Beach, then you can have a veritable feast on the sand as there are a number of local eateries serving up juicy prawns, crab and even lobster. Many of the seafood restaurants that line the beaches of Dawei feature traditional style raised platforms and bamboo roofs that make them the perfect place to chill out after a good meal. 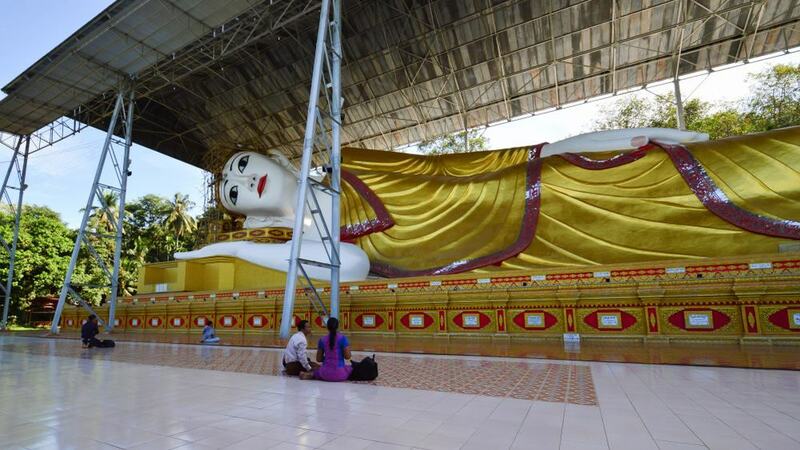 Payagyi is the name for the main Buddhist monastery in Dawei and it is also known in English as the Big Pagoda. The main feature here is a large gilded stupa that sits in the center of the main compound and you will also find ornate decorations at every turn. This also includes glittering tiles, intricate carvings and sparkling gold leaf that cover the statues and Buddha images. Also make sure to look out for the statue of Dharani who is worshipped at the Earth Goddess. To that end, locals think it is good luck to touch her shoulders, breasts or thighs as they walk past. 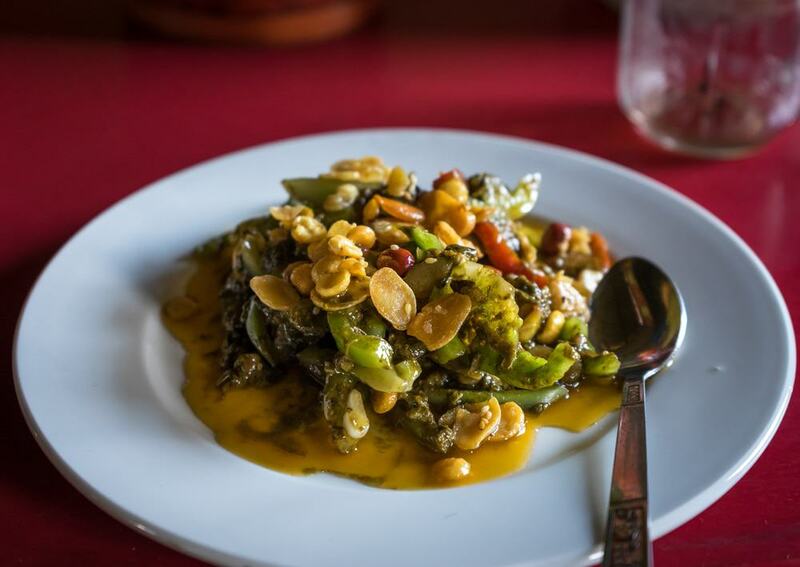 Many visitors to Myanmar may not realize that this is a country that loves to eat salad. 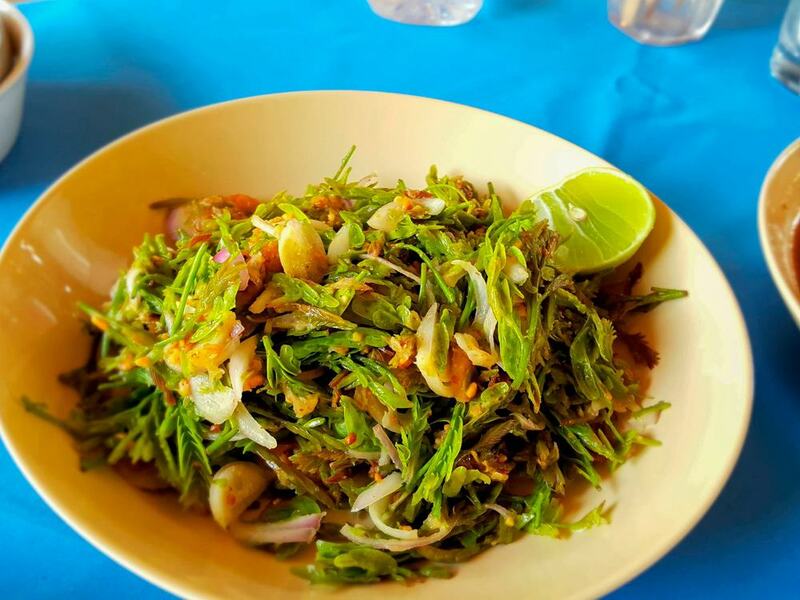 With that in mind however, the salad here is often different to salads in many other parts of the world and one of the best places to try it is in Dawei at Hlan Hlan Hnan. Some of the varieties of salads here include a local herb called pennywort as well as citrus fruit, tomato and ginger salads. Of course you can also get traditional pickled tea leaf salad as well. Some of the distances in Dawei, especially if you want to go out of town to the surrounding beaches, can be a little far. With that in mind, one of the best ways to get around when you are in town is to rent a motorcycle and tour around that way. 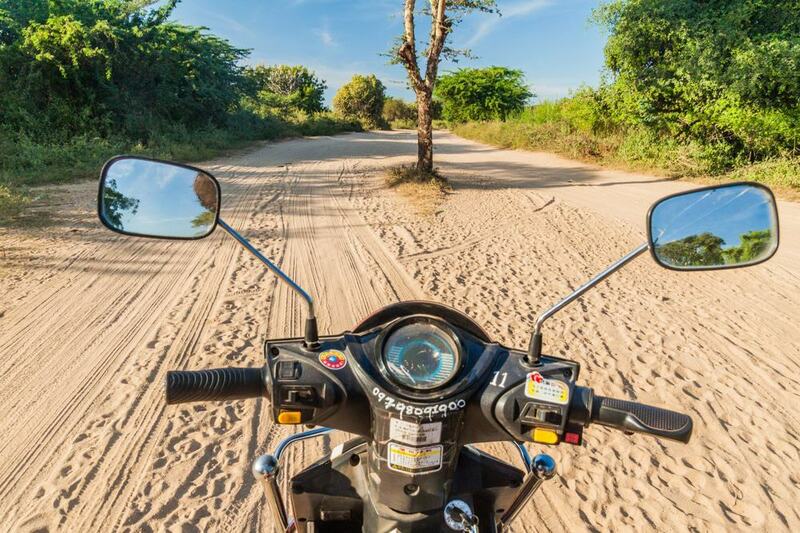 Some of the main destinations to tour around when you get your own set of wheels include Maungmagan Beach as well as Nabule Beach, or you can head to spots like the pretty Panyit Village that sits on the coast. If you want to venture a little further then head to San Hlam and Teyzit Beach. For a change of pace in Dawei itself and a change from the markets, temples, and pagodas, make sure to check out the Division Development Committee. This building is closed to the public but you can’t miss it as it is painted a lovely shade of mint green and dates from the colonial period. The building was designed by the British and it makes a great place to come and take some pictures if you want to see a different side of Dawei. 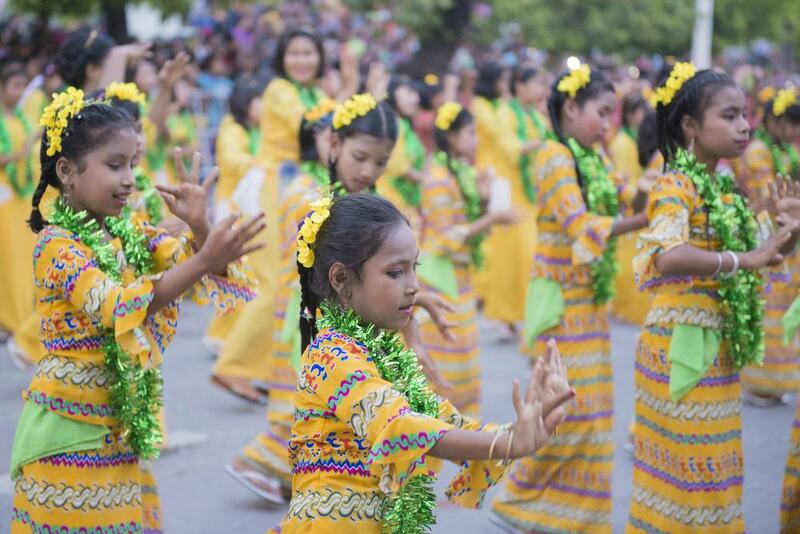 If you happen to be in Dawei during April then make sure not to miss out on the Thingyan Festival. At this time, men in Dawei are expected to carry large models of deities made of bamboo, some of which measure up to 13 feet high. They then dance in the streets while bands play the kalakodaun which is a king of long drum that originated in India. One of the main reasons to witness the festival, or plan your trip to coincide with the month of April, is that this tradition is unique to Dawei, so you can’t see it anywhere else in Myanmar. It can sometimes be difficult to get a good cup of coffee in Myanmar, depending on where you are, so with that in mind head to the Forty Five Bakery in Dawei. Here you will find delicious (real) coffee as well as other drinks like milkshakes and fresh juices. As this is a bakery, you can also expect pastries, cakes and sandwiches. Arguably the main attraction in Dawei is Maungmagan Beach which is also sometimes spelled ‘Maungmakan’ depending on who you ask. This is one of the most developed beaches in the area which means that it is more crowded but also has the widest range of amenities. Dotted along the beach are a selection of tasty seafood restaurants and you can also get beer here at one of the local cafes and have a drink with your feet in the sand. If you want to go for a walk along the coast then you can head in the north direction which will eventually take you to other beaches like Nabule Beach. If you follow the path in the other direction then you will end up at the pretty Myaw Yit Pagoda.